What does an Allstate - MN, IL, WI Business Opportunity Cost? A Low-Cost, Affordable Opportunity Waiting For YOU! Allstate Insurance Company is a proven leader in the competitive field of insurance and financial services. Since 1931, we've built a legacy of innovation, service and success. We're ready to strengthen our position by expanding our Exclusive Agency force, which we believe is the best in the business. To help us reach our goals, we're looking for people who are motivated by the challenges and rewards of owning and operating one or more Allstate agencies. 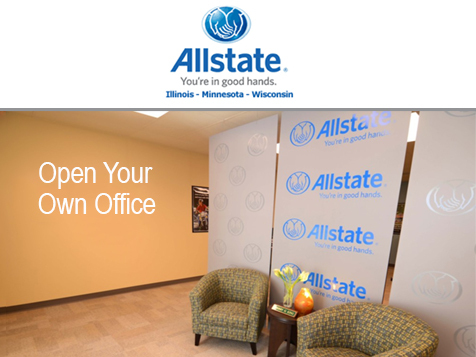 Open Allstate - MN, IL, WI in any of these available states: IL, MN, WI.